← North Korea still trying to make a Potent Nuclear Bomb. India seized on two developments at the Conference on Disarmament to draw attention to the close links between North Korea and Pakistan in developing nuclear weapons. With the U.N. disarmament forum taking up the issues of North Korea’s surprise nuclear test and Pakistan restating its opposition to the Fissile Material Cut-off Treaty, sources here drew attention to the close links between the two countries that enabled Pyongyang to proceed further on the weaponisation route. 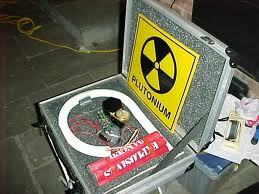 If indeed uranium was used in the nuclear explosion, the sources said, Pakistan’s imprint was more than visible. As The Hindu earlier reported, the former Pakistan Prime Minister, Benazir Bhutto, was a key player in furthering clandestine nuclear linkages between Islamabad and Pyongyang by personally taking compact discs to and from North Korea. According to a book by her Oxford collegemate and journalist Shyam Bhatia, who subsequently kept in regular touch with her, North Korea offered to provide Pakistan long-range missiles to offset its imbalance with India’s integrated guided missile development programme then led by A.P.J. Abdul Kalam. In the controversial book Goodbye Shahzadi , Mr. Bhatia says that by 1993, Pakistan was under the spotlight as never before (on bartering enrichment technology for missiles), with Russia, India and western secret services monitoring every nuance of its military research. This narration was not reported by Mr. Bhatia till her assassination. Benazir was never to repeat that conversation whenever tape recorders were in sight and she always insisted during on-record interviews that the North Korean missile was acquired in a cash deal and unaccompanied by a quid pro quo in the form of transfer of technology, according to Mr. Bhatia. While the sources dwelt on the North Korea-Pakistan missile-for-nuclear weapons links, the reaction from the Ministry for External Affairs was much milder than that from the European Union and the rest of the West. The External Affairs Ministry said the latest nuclear test was a matter of deep concern with North Korea acting in violation of its international commitments in this regard. “We call upon DPRK to refrain from such actions which adversely impact on peace and stability in the region,” it said. Benazir Bhutto agreed to hand over critical nuclear data to Pyongyang, according to the 1993 book.